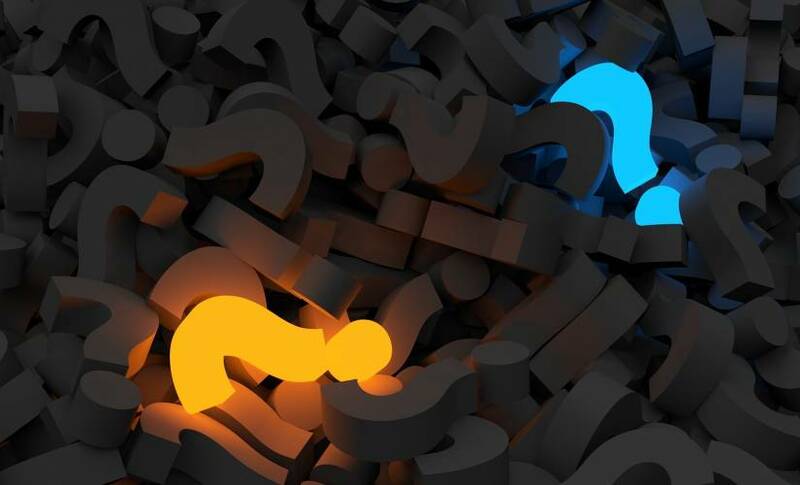 In this digital age when all the information in the world is readily accessible at our fingertips, the secret to digital transformation and innovation is not data — it’s questions. If you can ask the right questions and reframe the issues your organization is facing in the right light, then you can challenge assumptions and inspire true innovation and digital transformation as a result. Before asking meatier questions like what problem you need to solve or what process you’d like to replicate, think about a toddler whose favorite word is “why.” This simple request for an explanation is how kids learn about the world around them. It gives them the necessary framework for operating safely and effectively in society. For starters, you could help your team visualize the outcomes they desire when it comes to innovation and digital transformations. I like to refer to repeatedly asking “but why?” as the “wise whys.” Like the unwittingly wise toddler who can’t help but ask for more information, this question will eventually get you to the root of whatever you’re investigating. Once you’ve reached the end of your wise whys, you find the core of the problem. Along the journey, you let go of preconceived notions and preplanned answers to questions. The wise whys are a tool for helping your team lower their guards and provide honest feedback. The benefits of asking questions are sometimes easier to see than the risks taken when you aren’t inquisitive. When it comes to innovation, in particular, it’s easy to get caught up in the excitement of doing something new and forget or neglect to plan thoroughly. Let’s face it: Planning feels sort of old-school and, well, not very innovative. But without the proper road map that questions can provide, innovation efforts can quickly go astray. The hardest part of innovation and digital transformation is getting people to recognize their pet solutions may not be the right answers. The truth, however, is that in the beginning, innovation efforts don’t even need to have solutions offered. The key to innovation is to understand the problem and see where the issues are before acting. More often than not, innovation is not the first thing that comes to mind when addressing an issue, and for a good reason. In his book “Change by Design,” Tim Brown talks about a project the international design and consulting firm IDEO was working on for Amtrak. Initially, the company thought it would be reconfiguring train routes or redesigning the trains themselves. In the end, the biggest change it focused its innovation efforts on was the seats on the trains. At the beginning of the Amtrak project, changing the seats never would have been considered as a solution to the problems that needed to be solved. It was only through investigative questioning that the team got to the heart of the problem. In this way, innovation is like therapy: You have to work to uncover the root problem causing certain behaviors, and the most straightforward answer is rarely the right answer. So even though asking “but why?” will help your team members articulate the outcomes they want to see from their efforts, that’s just the beginning of the innovation journey. Leaders of organizations need to ask several questions to actualize their innovation and digital transformation efforts. Without asking these questions at the outset of new ideas and using their answers to guide efforts along the way, innovation can stall completely, or it can cause companywide friction. Define why you’re innovating. Is it a corporate mandate? Are you just trying to check off a box to please your boss? Is there a consistent set of failures or friction points that keep arising? If you don’t take the time to understand where the need is coming from, you could quickly lose sight of why you’re trying to innovate. Getting the landscape figured out is the first step. Identify who is ultimately responsible or most affected by the situation. Even if you’re dealing with a high-level executive who’s demanding innovation, those demands won’t take root or succeed without buy-in from those on the ground. You need to know who is affected and figure out how to align the goals of those doing the work with the goals of those pushing for it. Get leadership buy-in. Of course, having the leader(s) in your corner will be necessary. These leaders will give any innovation effort the essential gravitas to allow your team the freedom to dedicate their time and efforts to the cause. Each meeting, survey, prototype, or document created for the innovation effort is the time that could have been spent on something else. You need that internal champion of significant authority to ensure the whole project doesn’t fall apart before it truly gets started. Host stakeholder workshops. A key strategy for cutting through the noise and FUD (fear, uncertainty, and doubt) that can sometimes stifle innovation is hosting stakeholder workshops. You’ve already identified the key players, so why not get them together in an environment where they can speak freely, participate in thought experiments, and answer the wise whys? Innovators are collaborators. They’re able to spot great ideas all around them and then act. Failure is not a hindrance to them but a learning tool — a necessary part of the iterative process. They thrive on trying new things and seeing what happens. Companies like GE have seen great results with collaborative innovation efforts by applying crowdsourcing techniques to their transformation projects. Follow suit and hold meetings to keep everyone on the same page. Always strive to come away with a greater understanding of the organization’s needs. Having people from all levels of the company sit down together and provide personal feedback on why a problem exists gives a more profound, richer viewpoint into the root cause. Finally, enlist the help of a third party if necessary. Sometimes an outside perspective is exactly what your team needs to shake the dust off their imaginations. Don’t think of third parties as competition: They succeed only when you do, and they can bring significant changes to your organization that will spark a wildfire of innovation throughout. Now that’s you’ve followed the wise whys down the rabbit hole and established leadership support — you know what the problem is and whose help you need to solve it — it’s time to get to the meat of your question asking. You’ll need to dig deep and do some hard work to break through the barrier of assumptions that hinders true innovation. 1. What single task, system, or event in your daily scenario is the most annoying? 2. If you had complete freedom and control, what would you change first? 3. What’s one thing that can be done better? 4. What single task, system, or event in your daily scenario gives you the most joy? There are obviously more than four questions to ask for each problem, and you shouldn’t limit yourself. The questions that need to be asked will be determined by the team you’re working with. The groundwork has been laid. You have a solid strategy for seeing innovation through to success. But there is no magic formula. The way you innovate is as unique as innovation itself. It will always be new. It will always be tailored to your situation and needs. You just have to ask the right questions, and everything will fall into place from there. Q Manning is CEO of Rocksauce Studios, an innovation agency in Austin solving big problems with technology, using research and human behavior to build engaging products that people love using.